AER LINGUS WILL soon lock horns with a consortium of trade unions that is pushing the airline to share its multimillion-euro profits with workers. Employee representatives Siptu, Fórsa, Connect and Unite have been collaborating on the campaign through the Irish Congress of Trade Unions (ICTU). The group – which collectively represent thousands of Aer Lingus ground staff, middle managers, cabin crew and engineers – has called on the airline to roll out a profit-sharing scheme following a pay deal negotiated last year. A Fórsa spokesman confirmed that a Workplace Relations Commission (WRC) meeting on the matter is due to take place on Tuesday, 17 July. “The facilitated discussions are to explore the potential of profit share and its effects on pay determination,” he told Fora. Last year, Aer Lingus agreed to give staff a gradual 8.5% pay increase between 1 April 2017 and 1 June 2019 following a Labour Court recommendation. The court also instructed the parties to engage in discussions ”without prejudice” to explore the potential introduction of a profit-sharing scheme. Aer Lingus – which was bought by British Airways owner IAG in 2015 – recorded an operating profit of €269 million in 2017, an increase of €36 million on the previous 12-month period. A spokeswoman for the airline said the parties involved “reached a comprehensive pay deal” last year and that the Labour Court recommendation was accepted by way of secret ballot by airline employees. There are two further elements to the agreement, a productivity agenda and also exploring the potential of a gain-share model. Both are the subject of ongoing discussions which are anticipated to continue for some time,” she said. Fora understands that some workers are unhappy with Aer Lingus’s intention to explore a gain-share scheme instead of a profit-sharing programme, as recommended by the Labour Court. Both incentives would award employees financial bonuses, but the gain-sharing model is tied to specific improvements in staff performance, such as hitting certain sales targets and increasing productivity. The profit-sharing model is dependent on the company’s financial performance. According to correspondence seen by Fora, Aer Lingus management and the group of trade unions attended an initial WRC conciliation conference at the end of May. 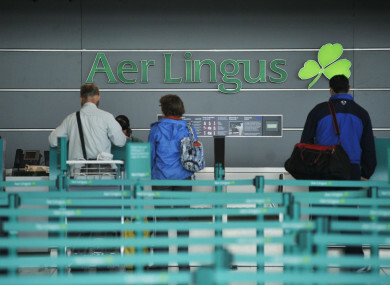 Writing to workers at the time, ICTU industrial officer Liam Berney said the meeting was adjourned and Aer Lingus was requested to return “with a view to making an offer to address the unions’ claim” for a profit-sharing programme. The next meeting is due to take place on 17 July. Berney said the consortium used the meeting to “emphasise the need for an agreement that gave workers in Aer Lingus a share of the profit earned by the company in recent years”. Fórsa has previously stated that a profit-sharing scheme “should be put in place as a way of recognising and rewarding workers’ contributions to the success of the company” following the recession. In the Labour Court last year, Aer Lingus said that although a pay freeze was put in place in 2010, staff had received average gain-share payments of around €1,500 annually in the years after. It said it also paid a “stabilisation payment” of €1,800. A number of changes have occurred in recent months at Aer Lingus. In February, it was accused of trying to “overhaul and decimate” legacy contracts with long-serving staff after the carrier moved customer complaints jobs from Dublin to the US. Email “Aer Lingus is facing a union showdown over staff profit-sharing demands”. Feedback on “Aer Lingus is facing a union showdown over staff profit-sharing demands”.